Monte delle Vigne is in Emilia Romagna, located on gentle hills that slope down from a height of 300 meters to the right bank of the river Taro, deep soils rich in clay and limestone and night breezes that lower summer temperatures make this place a unique terroir. High-density planting, 6,000 plants per hectare, with a strain production that does not exceed 1,5 kg of grapes. Each plant has a productive natural balance that let it express the most of its production potential. 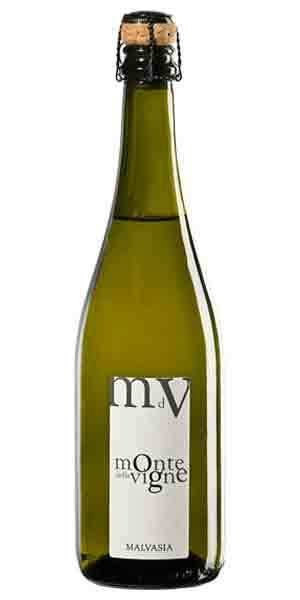 Made from the Malvasia di Candia Aromactica varietal grown on east facing slopes at an altitude of 230/300 mts. Soils here are rich in clay and calcium. This wine gets its bubbles from the charmat method (like Prosecco production). In the glass the wine is light yellow with greenish reflections. The nose offers a pronounced bouquet of flowers and ripe stone fruit. The palate shows flavours of almond, apricot, peach and white flowers. At 11.5% ABV, this wine is fairly dry and is delicious served well chilled at 6-8 C with a plate of parma ham or even a creamy risotto dish.